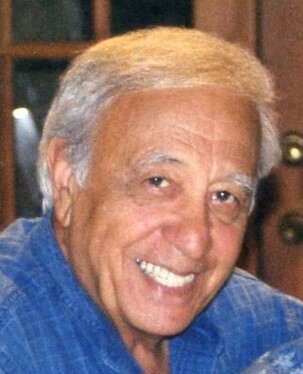 Albert R. (Al) Masserini, retired USAF LT. COL., age 94, a resident of New Smyrna Beach, FL since 1971, died on January 23, 2019 following a short illness. Al was born and raised in Trenton, NJ and graduated from Pennington Prep School in 1942. He enlisted in the Army Air Corps as a gunner on a B-17 bomber during WWII flying combat missions out of Italy, earning the Air Medal and European Theater Operations medal. Upon his discharge in 1945, he attended Oklahoma A&M, earning a degree in mathematics. He re-enlisted with the USAF and earned his pilot wings in 1951. Col. Masserini trained on and flew the B-29 bomber in the Korean Conflict, flying approximately 30 combat missions. Operations Officer at 2nd Air Force Headquarters at Hickam AFB, Hawaii. After retiring from the Air Force, Al taught high school at Montverde Academy (in Howie of the Hills) and later was an adjunct mathematics instructor at DBCC South Campus. In addition to teaching, he also held a position with Workforce in Daytona Beach, Fla.
Al will be remembered lovingly by his devoted significant other of 28 years, Joan Lynn. They were inseparable and enjoyed traveling abroad, ballroom and country western dancing and many other activities. Al enjoyed Classical music, playing the piano and especially a good game of poker. He was privileged to have many beloved friends through the years. grandchildren, John (Abe), Lauren, Steven (Megan), Robert (Angela), David (Patricia), Justin (Erin) and Rebecca(Steven); Step grandson David and 5 great grandchildren. He also leaves behind extended family, Fredrick Lynn, Kelly Lynn(Kim), Spencer Lynn and Cadell Williams, as well as Shirley Christner, former wife and mother of his children. Celebration of Life will be 11:00 a.m. Saturday, February 23, 2019 at Settle-Wilder’s Chapel, with the Reverend F. Nelson, Sacred Heart Catholic Church, officiating. A Gathering will be from 10:00 a.m. until the time of the service, with a rifle detail from the American Legion Post #285, and full military honors at Arlington National Cemetery at a later date. In lieu of flowers, the family suggest donations to Halifax Health Hospice, 3800 Woodbriar Trail, Port Orange, FL, 32129 or St. Jude Children’s Research Hospital, P. O. Box 1000, Dept. 142, Memphis, TN 38101-9908.